The DX88-N52 disc is ultra powerful and must be handled with great care. This disc can, and will, pinch if it is mishandled. 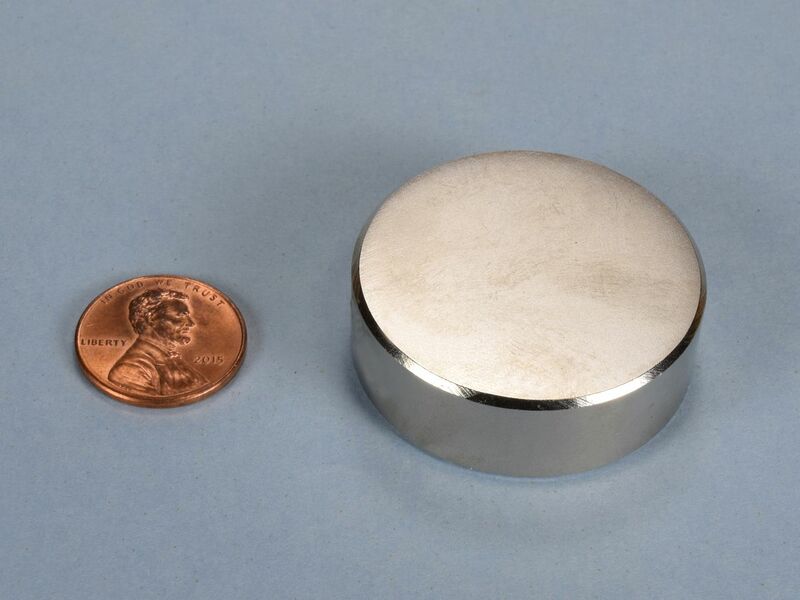 The incredible strength of these discs makes them useful for heavy holding, locating steel objects, and other applications that require a very strong magnetic force. 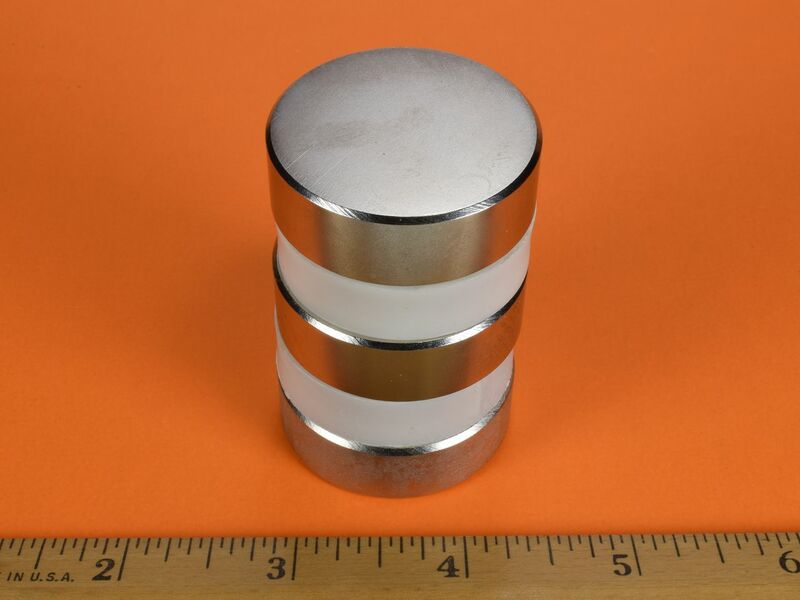 Please use caution when working with these magnets. This size is also available in grade N42 as part number DX88.